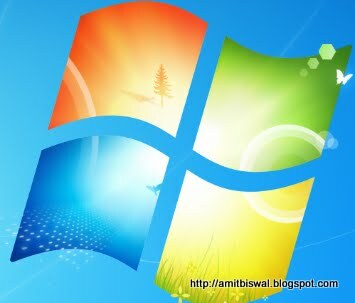 Instant Shortcut Keys in Microsoft Windows 7. You can quickly recall the file you worked on last week simply by resting your mouse pointer over a program name, a window 7 list will jump out displaying the documents you used most recently and most often. You can also right-click an icon on the taskbar to achieve the same task. To use the windows 7 icons aero effects on the files and folders on your taskbar, You can use window logo key + spacebar. If you are having numerous windows and applications running on your desktop, then you can minimize them by using windows logo key and Home key of your keyboard pressing them simultaneously. If you are having some of your applications in your windows 7 taskbar, you can open it without using mouse, simply press the windows logo key the number of the application located serial wise. Suppose if the windows media player is at the first location you can use windows logo key + 1. Similarly you can use 2,3,4 for other application adjacent to it. If you want to make the window of the application you are working on to look on half of the total screen, the simply press windows logo key + any of the arrow key like use left arrow key to shift it to left or right arrow key to shift it to right. If suppose you are working on multiple monitors, then to shift the windows from one monitor to another monitor you can use windows logo key + shift + arrow keys. To connect your laptop to projector, no need to go for the conventional windows then program menu then accessories and so on. You can simply use windows logo key + P and then arrow keys to change the settings. If you are working on one application and want to run another windows of the same program on which you are working, then press the shift key and click on the icon of the application or program on the taskbar. A new window of the same program will get launched. Use Ctrl + E to open ‘My Computer’.